Shellac Stack No. 127 wishes a happy 105th birthday to Irene! 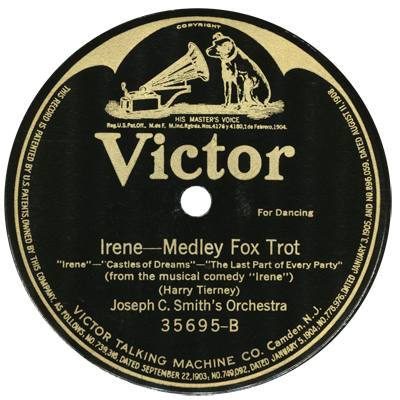 We hear more than a dozen hit songs from 1921-1930, including performances by Bix Beiderbecke, Ethel Waters, Billy Jones and Ernest Hare, Henry Burr, Paul Whiteman’s Orchestra, Prince’s Orchestra, and more.